Memories, Frozen in Time - article in Washington Post, March 1995, about Jackie's return to Stonington Island, Antarctica. 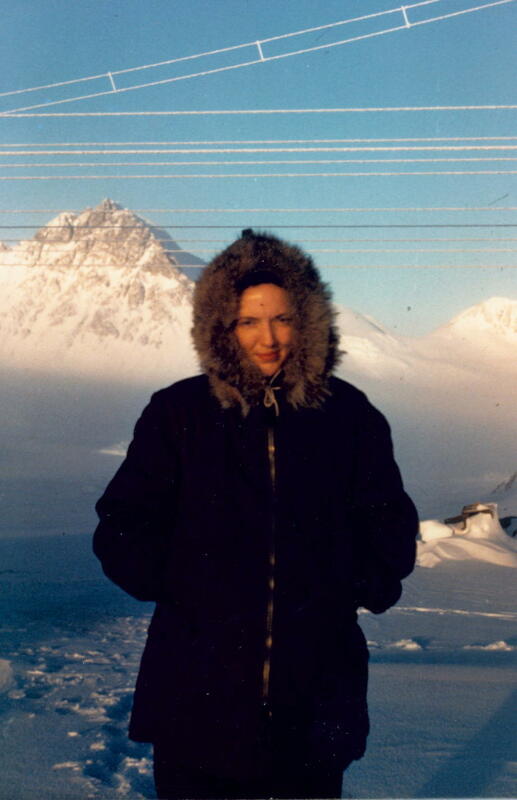 At Stonington Island, Antarctica in 1947 and in 1995. 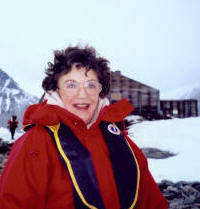 Edith "Jackie" Ronne was a U.S. explorer of Antarctica. She married Finn Ronne on March 18, 1941. On the Ronne Antarctic Research Expedition of 1946 - 1948, that her husband commanded, she became the 1st American woman to set foot in Antarctica, and with Jennie Darlington, the wife of the expedition's chief pilot, became the first women to overwinter in Antarctica. They spent 15 months together with 21 other members of the expedition in a small station they had set up on Stonington Island in Marguerite Bay. 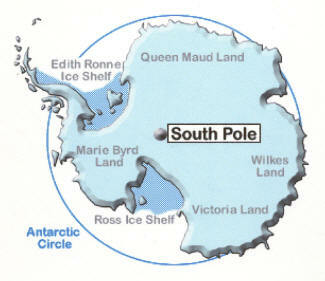 She is the namesake of the Ronne Ice Shelf, which was previously called Edith Ronne Land. Her husband, Finn, who discovered and mapped that previously unknown territory during his Ronne Antarctic Research Expedition (1946-8), named it in her honor. Edith Ronne returned several times to Antarctica, including on a Navy-sponsored flight to the South Pole in 1971 to commemorate the 60th anniversary of Roald Amundsen first reaching the South Pole (she was the seventh woman at the pole), and a 1995 trip back to her former base at Stonington Island as guest lecturer on the expedition cruise ship Explorer. Jackie Ronne, a fellow of the Explorer’s Club, was the first American woman to set foot on the Antarctic continent and the first woman to over-winter as a working member of an expedition. She married Norwegian-American Antarctic explorer, Captain Finn Ronne, and he persuaded her to join his 15-month Ronne Antarctic Research Expedition, 1946 – 48 on Stonington Island in Marguerite Bay. She helped with scientific experiments, kept the expedition’s log and wrote many articles for newspapers back home, documenting the discovery and mapping of the world’s last unknown coastline in the Weddell Sea. Her husband named the new territory Edith Ronne Land to honor her; it was later changed to Ronne Ice Shelf, the world’s second largest. She continued to write and lecture about the Antarctic, including in encyclopedias and her recent book, Antarctica’s First Lady. She returned to Antarctica 15 more times, including a visit to the South Pole. As Cruise Director, I want to welcome everyone here tonight to our “Cruise to Antarctica”. In fact, we are cruising there, right now. Look closely at the icebergs off our bow, here, with a penguin, as well. And, there’s the Lemaire Channel, over there, with its most spectacular scenery. And we seem to have a pesky, but friendly penguin in our midst who has gotten lost from the Rookery. Perhaps he’s looking for some Krill. Come on over here, Penny. Everyone say “Hi” to Penny. I’m glad you could join us on this special Antarctic cruise, celebrating the 80th birthday of my mother. Now, Mom, you know you couldn’t escape having a party. And, we have to have a little “recap” of the last 80 years, so Mom, this is your life. My mother is a great woman, not only because she is my mother, and a most devoted and loving mother, at that. But also because she is the First Lady of the Antarctic. First Lady of the Antarctic - That title has many components, as she is first and foremost, a lady, with many charms - as well as social graces and a vivid personality - that have allowed her to sparkle across the globe, from the places of common men to the palaces of royalty. But secondly, she is a first, a pioneer. As the first American woman to set foot on the Antarctic continent, she is also the first woman in the world to be a working member of an Antarctic expedition and to winter-over on the frozen continent. She firmly has her place in Antarctic history. As a result, her pioneering achievement has accorded her a rare honor for a woman of non-royal birth: Antarctica’s Ronne Ice Shelf, the world’s second largest, is named for her. Mom was born and raised amidst the marbled front steps of Baltimore as Edith Anna (she hates that) Maslin. She got the nickname of Jackie, taken from her father’s middle name of Jackson, at Camp Mayflather, a Girl Scout camp in Virginia. It was long forgotten until she encountered a former scout friend on her first day at college here in Washington. Introduced around campus with her old Girl Scout moniker, the nickname “Jackie” stuck with her ever-widening social group. When Mom, having skipped two grades, graduated from Baltimore’s Eastern High School at the tender age of 16, she kissed Baltimore “good-bye” with a “farewell” “good riddance” “au revoir” “adios” “sayonara” and “I’m outta here”. (Did you catch that? She hated Baltimore!) She came to Washington to live with her aunt and uncle, and was exposed to a wider view of life. She flourished while living with them in Chevy Chase. Auntie and Uncle, as I called them, later became the grandparent figures in my life. “Auntie” sent her to Wooster College in Ohio for two years. While there, she really tried hard to major in boys. But when the college wouldn’t award that degree, she transferred to George Washington University and eventually joined Phi Mu sorority. She graduated from GW at the young age of 20 with a degree in history, which is ironic, since she ended up making some history of her own in the Antarctic. 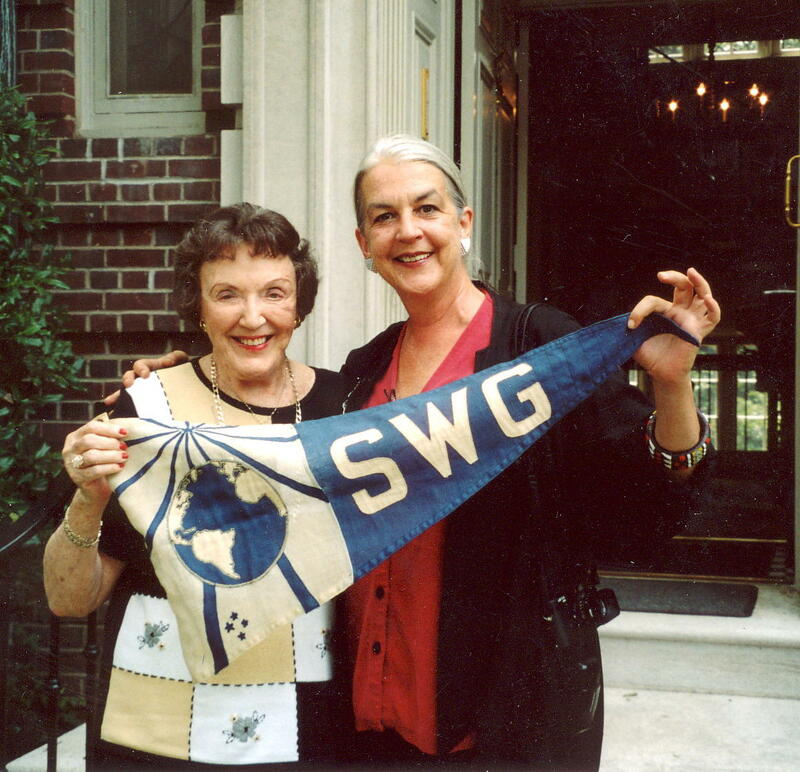 She worked briefly for the National Geographic Society, then the State Department, where she befriended, among others, my Godmother, and that changed her life. 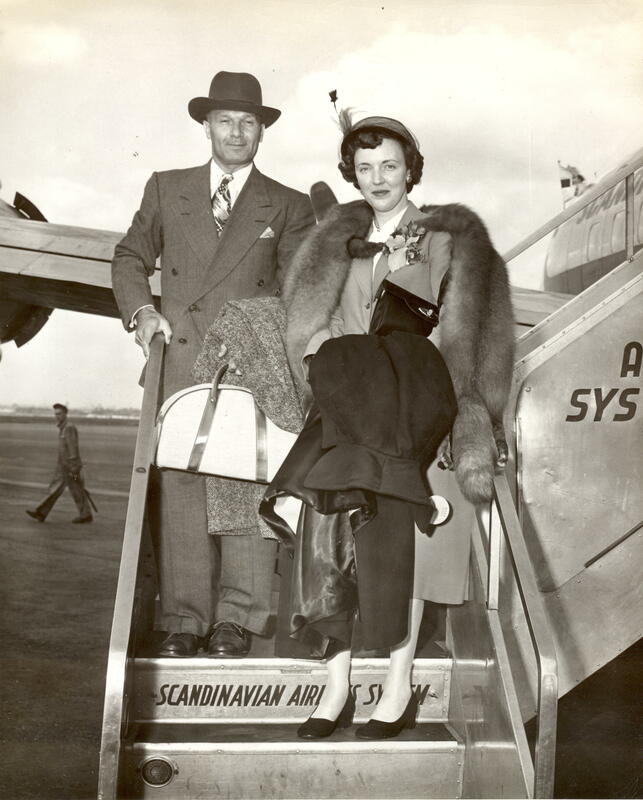 She met my Norwegian father, Finn Ronne, on a blind date arranged by my Godmother, Bettie Earle Heckmann. Bettie paired them up, despite a 20-year age difference, because they both skied. Now, my father had already ski-jumped off of every small mountain in Norway, skied glaciers and miles of snowfields, and guided sledges behind dog teams in the Antarctic. And my mother’s skiing consisted of sliding down the hill behind the Shoreham Hotel into Rock Creek Park. Their skiing conversation was over in a matter of minutes, but fortunately they found more things in common. When told that my father was agile for his age and could do deep knee bends, my mother’s friend said, “On the dance floor? How terrible for Jackie!” Well, my father was very athletic, and indeed they went to Stowe, Vermont, to ski on their honeymoon. Mom should have guessed what was coming, what with all that romantic honeymoon snow. Shortly after their marriage in March of 1944, my father planned his own private expedition to the Antarctic, his third over-wintering experience, to conduct scientific investigations and to discover and chart new lands. The Ronne Antarctic Research Expedition finally got going after the end of WW-II and departed the end of 1946. When my father needed her assistance, he gradually persuaded Mom to go along on the expedition, rather than assist from afar in Washington. As she sailed further and further south to help with last minute preparations, she was also grabbing more and more last minute supplies as her fate was becoming clearer and clearer. Her horrified aunt cautioned in the last paragraph of her last letter attempting to dissuade Mom from going, “And don’t forget, the cold will ruin your complexion.” So off she went, having started the journey with only a cocktail dress, nylon stockings, and high-heeled shoes, – to become a pioneer of women in the Antarctic. Mom handled the daily logs of the expedition, wrote newspaper articles for the North American Newspaper Alliance, kept the official expedition diary, and assisted in many scientific experiments. The experience made her life and opened doors she never imaged. Upon her return in 1948, she was a bit of a world celebrity and toured the U.S. on a lecture tour, pinch-hitting for my father. Over the years, she helped write and edit my father’s four books. Articles, TV appearances, and honors followed. She went on the very first tourist cruise, by the Argentines, to the Antarctic in 1957, and was later flown, along with my father, to the South Pole in 1971, the first couple to be there, to commemorate Amundsen’s 60th anniversary of attaining the South Pole. In addition, she was the seventh woman to stand at the South Pole; the first six were journalists who together jumped from an airplane, so none could claim being “first”. As for achievement on her own, she served for three years as international president of the Society of Woman Geographers, wrote the annual articles on the Antarctic for the Encyclopedia Britannica for many years, and continued to give lectures. 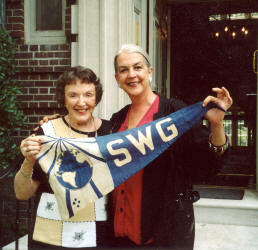 In addition to SWG, she continues to be an active member of the Washington Chapter of the National Society of Arts and Letters, ARCS, and the Explorer’s Club. And speaking of exploring, she’s always had the travel bug. In fact, travel has been a major theme of her life. When I was a kid, for many years running we spent lots of time with the Sweeney family - skiing at Aspen, and sailing at Gibson Island in the Chesapeake Bay. Also, we traveled twice all over Europe, once ending up at Spitzbergen in the Arctic, even pushing back the Iron Curtain there with a landmark visit to a Russian Base. And of course we’ve spent lots of time in my father’s homeland of Norway on four or five different trips. We also made an extensive trip to Mexico. During my summer camp years, Mom and Dad left me behind when they were brought to Japan by the government to advise some mountain climbers about equipment for scaling high peaks in the Antarctic. Since my father’s death in 1980, she has forged trails to New Zealand, Australia, Alaska, and Western Canada. 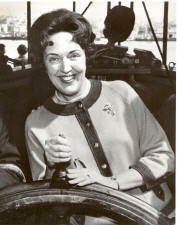 As a result of her most famous trip, Mom was the subject of gossip on Washington radio. 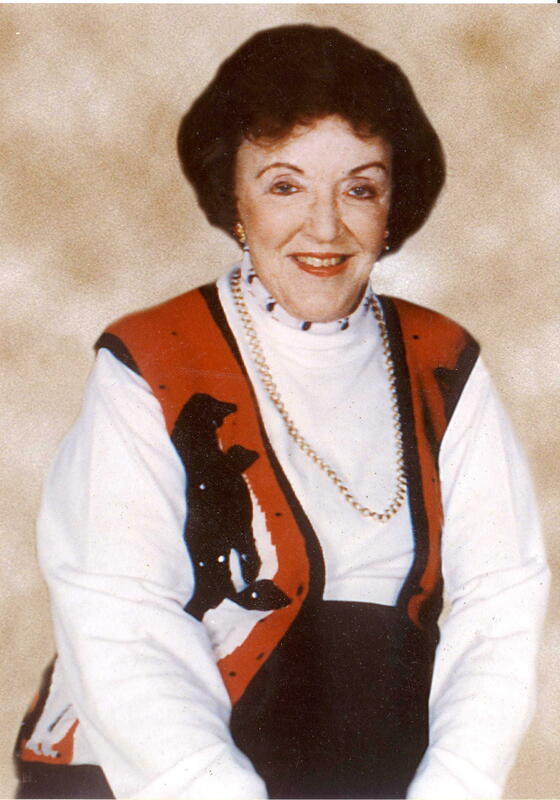 She traveled through China with WMAL radio personalities Harden and Weaver, and became known as the “shop-a-holic”! “Wow, Jackie really cleaned out the tourist shops! She looked like a heavily laden Christmas tree getting off the airplane!” “Yeah, that Jackie Ronne really knows how to shop!” were Harden and Weaver’s comments during their show’s morning broadcast. But later, she did have a featured live interview with them on their show. While I was in college, Mom and I made a long 8-week road trip all through the western states, stopping in the National Parks as well as glamorous cities. We hiked and climbed hills in the parks and were wined and dined in royal style at Caesar’s Palace in Las Vegas. Her favorite part was the scenic drive along the rocky California coast; so much so, in fact, that we backtracked and drove it three times. We even tried swimming in the Great Salt Lake – big mistake. It was so salty that it was more like floating. We ended up in the northern parks, and took in the scenery of the Tetons, Yellowstone, and Mount Rushmore. That long odyssey was a blast! When I was free of school, Mom and I continued to travel and we investigated Spain, Mallorca, the Greek Isles, and Turkey. In 1987, Mom asserted her independence and did something that my father always wanted to do, but never did: she bought a condo in Florida. It has been her refuge and has become our family's second home, and a jumping-off place for more travel. Once I married, Mom, Al, and I, and later the kids, continued to make numerous trips to the Caribbean, out west again, Norway again, and the ultimate trip, Antarctica – three times for me and . . . how many times is it for you, Mom? And I’m hoping for many more adventurous expeditions with her. She has now gotten on the Antarctic cruise lecture circuit and made trips as a lecturer the past five years, and continues as a celebrity fixture on the Marco Polo, on which our whole family has had the pleasure of cruising to the continent of our heritage. She is scheduled to take three more trips this year on the “Marco Polo” to Antarctica. Mom’s traveling days came to a brief halt in 1951, when she gave birth to her only child, me. I was most fortunate to have her as my mother all these years. 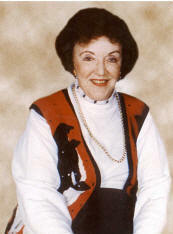 She was the one to sit up late at night with me when I was sick, wake me up early in the morning for school with breakfast on the table, chauffeur me to every sort of activity imaginable, attend every one of my school performances, and talk late into the night about school dances or my latest crushes on boys. And during college, she sent me the best “care packages”; most notable was this crazy-fangled hammer that doubled as several other tools, for my architecture class – but it saved the day! She has always been loving, nurturing, even-tempered, and accepting of me and everything I’ve done. Most every child says their mother is the best, but I’ll say that she really is the best because she is always there, always available as a mother. As a grandmother, she has not only been a loyal babysitter to help out Al and me, but she has been a constant stabilizing support to her pride and joys, grandson Michael and granddaughter Jackie, who is obviously named after her. Everyone comments to me about how wonderfully warm, open, and especially charming my mother is. She is easy to talk to and confide in, and it’s always so interesting to hear her stories. Even stories I’ve heard a million times are fun to hear again, because of the enthusiastic way in which she tells them. Now, if she could only get those stories published and out in print for everyone to read in book form, that would be a big goal accomplished! Mom is a loyal friend and goes out of her way to try to do favors for other people, if she can. She gets involved in people’s lives in creative and meaningful ways. As my father said, “I never thought I would ever be 80! It’s not that I wouldn’t live that long, but I never thought the day would actually come.” But for Mom, so it has, and I am so glad that everyone is here to share in her celebration, not only of her milestone year, but in our celebration of her as a wonderful, beloved person. 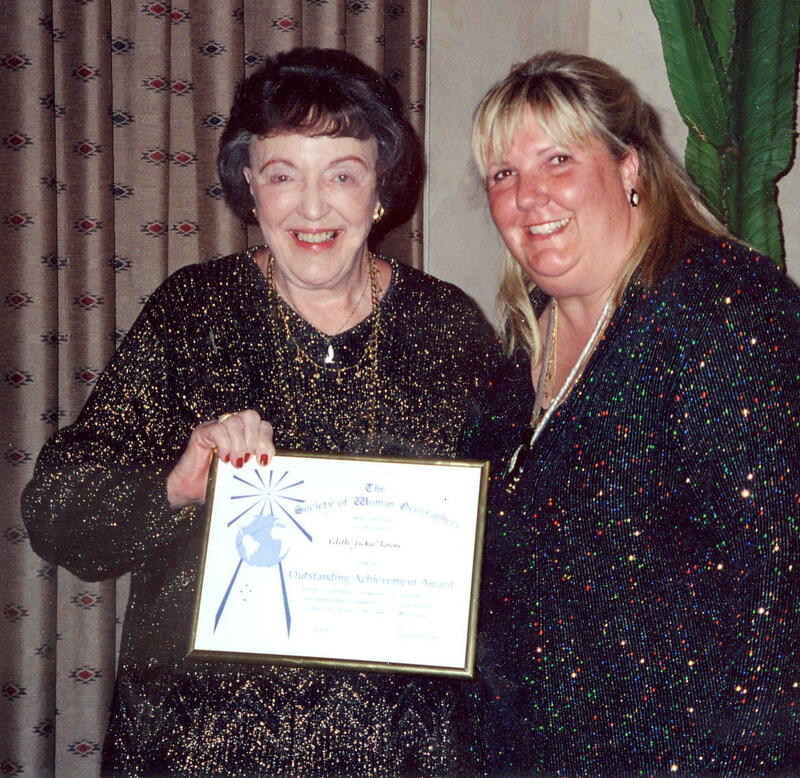 All of our lives are enriched by this woman – my mother – Jackie Ronne. "Roald Amundsen should see us now," I said to my husband in December of 1971, as we settled into the bucket seats of the Hercules C-130 turbo jet flying us to the South Pole. Once, the Norwegian explorer had driven his dog teams across the Ross Ice Shelf, over perilous crevasses, up steep glaciers to the 10,000 foot high polar plateau. It took Amundsen's party two months of difficult sledging to reach the South Pole on December 14, 1911. Now, sixty years later, we retraced the route in three hours - about and hour and a half of flight time for each month of their tortuous struggle. Although the round trip from McMurdo Sound on Antarctica's icy coast to the geographical South Pole can be achieved by air in one good flying day, women who have made the trip are more scarce than penguin chicks at a zoo. Many women have crossed the Antarctic Circle via tourist ships in recent years, but you can count in an ice tray those who have contributed to on-the-spot history of the Continent. The pristine icy scenery we were surveying from the relative warmth and safety of the huge ski-equipped Navy plane's cockpit was not new to me. It was my third venture to the Antarctic Continent, although my first directly to 90 degrees South, where all the meridians meet. When my husband, Captain Finn Ronne, first organized the Ronne Antarctic Research Expedition in 1946, I readily gave a helping hand to the enormous amount of tedious planning such an undertaking required. So familiar had I become with the background of the expedition, that it had been my intention to handle its affairs Stateside, while they were away. It was a hectic departure, and while bidding my husband good-bye, he asked if I would go with his ship as far as Panama to help with the last minute details. My two week leave of absence from a challenging State Department position was hastily extended. (Actually, I never did return to it.) My suitcase contained little more than a good suit, a good dress, nylon stockings and high heeled shoes. Little did I realize this was the beginning of a series of events that led me to be the first American woman to set foot on the earth's seventh Continent and to spend my third and fourth wedding anniversaries there. Not only did my husband ultimately persuade me to accompany the expedition as Historian and Correspondent for the North American Newspaper Alliance, but he permitted the wife of one of the other members to go, so as to quell any qualms I had about becoming the "first and only". We selected the most appropriate size clothing from the large supply sent with us from the Quartermaster Corps for cold weather testing. Once our ship was securely anchored in a cove off Stonington Island, sheltered by a curving glacier in Marguerite Bay, we began transporting scientific equipment, food for two years, dogs, three airplanes, gasoline, 30 tons of coal and innumerable other materials ashore. Within weeks, the specially constructed and insulated buildings were ready for occupancy and we moved in. Meanwhile, ice had formed around the ship and soon she was intentionally frozen-in for the winter. With my husband, I shared a small hut, about twelve feet square, connected to the mess hall bunk house by a short tunnel. During the long winter night that soon come upon us, I learned first hand of the tedious hard work required to carry on investigations in twelve branches of science under harsh polar conditions. Later, I assisted our geophysicist in some of his routine work while he was away from the base. Meticulous preparations also were necessary for the aerial exploratory programs and surface geographical survey teams planned upon the sun's return. Usually, I wrote an average of three articles a week describing our progress for radio transmittal to the N.Y. Times receiving station. For relaxation, we had motion pictures several times a week. Classical and modern music could be heard throughout the isolated camp most any hour of the day. There were, of course, endless discussions on all imaginable subjects, as well as an occasional card game, however, when all the candy bars had been won, the men ceased playing poker. But the library with its great variety of subject matter most appealed to me. Thus, the winter night passed quickly. Even so, all hands were certainly glad when the sun's rays finally returned to the northern horizon and the men were able to tackle their outside investigation. Martin Ronne, my husband's father, had been a member of Amundsen's expedition. He made the small tent Amundsen left at the South Pole signifying his December 14-17 arrival. Martin remained with Amundsen through twenty years of polar exploration and subsequently became the only member of Admiral Richard Byrd's first expedition who had ever been to Antarctica before. Upon Martin's death in 1931, his son, Finn Ronne, immediately followed in his father's footsteps as a natural extension of his Norwegian heritage. In recognition of our family's long involvement in Antarctic exploration, my husband and I were invited by the Department of Defense on a flight to the Pole in December 1971, in remembrance of Amundsen's 60th anniversary of his reaching the Pole. This was my husband's ninth (and last) journey south over a 38 year span, including four over-winterings of 15 or more months duration. To our knowledge at that time, Finn Ronne had sledged more miles behind a dog team than any other man and was well aware of the grueling effort involved in advancing Antarctica's frontiers. Newcomers are ushered directly to the Pole, a few yards from the makeshift runway. We had just become the first husband and wife team to set foot there. I was the seventh woman to stand at the pole, the first six being woman journalists who jumped simultaneously from the airplane together during the command of Admiral George Dufek in the late 1950's. The South Pole is about ten feet high and decorated like a barber pole. It is surrounded by the fluttering flags of the sixteen signatory nations to the 1959 Antarctic Treaty. The treaty "froze" national claims and opened the Continent to science and peaceful purposes only. As we staved off frostbite, the photographers recorded my husband's presentation to Deep Freeze's commanding officer, Admiral Leo McCuddin, of two historic photographs, one of Amundsen in December 1911 and one of Scott a month later, both at the Pole. Our stay at the Pole station was concluded with a leisurely meal of steak, cafeteria style, after which we made a short-wave radio broadcast to Lowell Thomas, a friend of many years. The three and a half hour flight back to McMurdo (our main U.S. staging area) was uneventful, but for me the day will remain forever the most memorable of my life. Also, we were hungry, tired and generally uncomfortable. Soon the efficient crew brought out their only survival gear and lit a small gasoline stove to prepare a meal. It took a while to melt the several million year old hard blue ice chipped from a nearby glacier. Into the uncontaminated water went a combination of chicken, spaghetti, beef, and everything else readily available to make the most delicious 18 cups of 'hooch' any of us had ever tasted. Then we made another try. 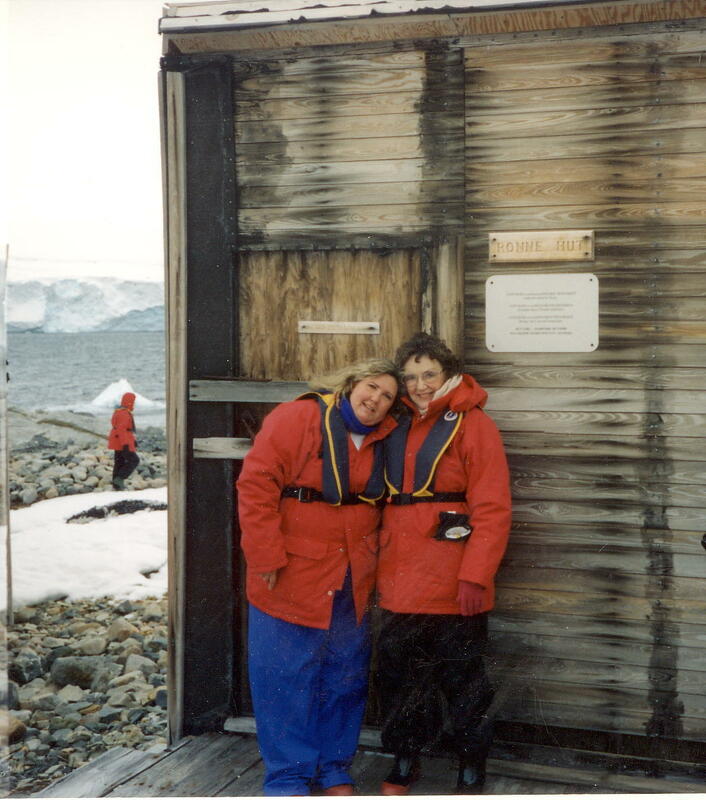 By now we had seen more of the volcanic ash, penguins and Shackleton's hut than we cared about. It was easy to conclude we really didn't want to become heroes after all. Walking 40 miles back to McMurdo was out of the question. In our path lay mountainous terrain dotted with crevasse filled glaciers pouring down the valleys from Mt. Erebus. Nor could we reach the base over the sea ice pierced with wide open water leads quite impossible to cross. Our return depended solely upon the two helicopters and our next try would have to be successful as there was insufficient gas left for a third abortive attempt. Left momentarily to our individual reveries, I had no difficulty imagining the men of the top Command back at McMurdo figuratively tearing their hair. Innocently enough, I had become a good example of why, in those times, the U.S. Navy had to swallow hard each time it permitted a woman to enter its once exclusive Antarctic domain. Long ago, I had broken this tradition on my husband's 1946-48 private expedition when I spent a year on the other side of the Continent. But, now my safety was clearly the Navy's responsibility. Mentally, I cringed at the sticky situation, and could only surmise the assessment that must be taking place. As time wore on, the dingy hut took on new dimensions. In spite of a New Zealand Government notice cautioning all visitors from removing any item whatsoever from the historic shrine, we began to eye the corroded cans of Bird's Egg Powder, Cabbage, Ox Tongue, weathered boxes of hard tack biscuits, and suspected bottles of brandy with more than casual indifference. Only a musty bottle on the medical shelf labeled as the remedy for diarrhea and dysentery provided the necessary restraint. Dirty torn socks, worn mukluks, inadequate shoes, old blankets, well used pieces of canvass and unappealing seal skins, covered with layers of volcanic dust had been fascinating testimony to the hardships of long past era when we first arrived. Now, the longer we remained the cleaner the surroundings appeared. Subconsciously, each of us picked out a corner or niche on a hard bench which might possibly afford some relative comfort during the forthcoming night. Every 30 minutes or so we had to move around to keep our circulation going. There was a stove. Had there been fuel, a note indicating the old relic did not function property dissuaded us from the probable fire hazard. Clearly, an overnight experience under these conditions would separate "the men from the boys." Fortunately, no one was put to the ultimate test. During one of our forays out for exercise, we noticed a small break in the dense cloud cover. Slowly, the patch began to grow. We were enthralled. When the sun finally broke through, eighteen elated visitors bounded up the volcanic slag hill to the waiting helicopters without a backward glance. Someone up there had delayed our moment of truth. Forty-five minutes later we were thawing out in McMurdo's familiar surroundings. The episode made a believer out of me. Never again did I go further than the mess hall without taking my own survival gear. My husband died in 1980, and although, I continue to give spot lectures, as before, there was every reason to believe my active Antarctic "career" was over. However, some twenty-three years after having accompanying him to the Pole, I returned to the Base on Stonington Island, Palmer Peninsula, where we had spent a year on the Ronne Antarctic Research Expedition forty-seven years before. I was the guest lecturer in February 1995 on Abercrombie and Kent's tourist cruise ship Explorer. Their unpublicized objective was to get me back to our Base, which had recently become the First American Historic Site in Antarctica. Ice conditions being what they are in that area, I gave them a thirty percent chance of penetrating the pack ice. We were unbelievably lucky, and made it, within that year's two and a half week ice free span. I had never expected to get back and gaze upon that magnificent scenery again. But, what made it doubly thrilling, was that my daughter, Karen Ronne Tupek, was with me, becoming the fourth member of the Ronne family to visit the world's most spectacular continent. The trip reawakened and renewed my interest. I am planning to return in January and February 1996, as a guest lecturer, (along with Sir Edmund Hillary), when Orient Lines ship Marco Polo, will semi-circumnavigate the continent from Palmer Peninsula to McMurdo Station in the Ross Sea and from there to Christchurch, N.Z. Currently, I am preparing a manuscript of my Antarctic experiences by utilizing my diary, which graphically depicts my historic year there in 1947 - 48. Women do things for love they might not do in their right minds: Ignore infidelities. Raise other women's children. Rob banks. Edith "Jackie" Ronne spent 15 months in a 12-by-12 hut in Antarctica. "I was ready to do anything for him," says Ronne of her husband, whose father, Martin Ronne, was also a polar explorer. In late February Jackie Ronne, 75, a widow since 1980, extended the family saga by taking her daughter Karen on a cruise to the base camp that housed her husband's expedition. Although she'd been back to Antarctica, she hadn't seen the camp since they left in the spring of 1948. "It's an extremely difficult place to get to," she says. "The icy conditions make it hard. You have to hit it just right. "I never thought I'd return," she says, for it was more than the ice and cold that made life difficult -- so difficult, in fact, that she'd never reread her Antarctica diaries. Jackie and Finn Ronne (pronounced "Ronnie") met on a blind date in wartime Washington. He was 42, Norwegian-born, divorced, glamorous -- a man who had driven dog teams hundreds of miles across the Antarctic, exploring uncharted sections of the continent. She was 22, a George Washington University graduate living with her aunt and uncle in Chevy Chase who bused downtown each day to a typing and filing job at the State Department and worried that nothing exciting ever happened to her. She was making her way through the ranks when friends matched the two up because they both skied -- though Jackie was just starting and Finn was a competitive ski-jumper. They courted for a year, hiking along the Appalachian Trail, biking when gasoline was scarce, rolling back the rug and dancing on her aunt and uncle's highly polished hardwood floors. March 18 would have been their 51st wedding anniversary. When they married, Finn promised her he'd never go back to the Antarctic. "Fortunately," says his widow, "I didn't believe him." The land -- with its earthquake shocks and rocks, its trying temperatures -- was his obsession. And he wanted to command his own expedition. The dangers of the expedition were real: the blizzards that could kill a man in an hour, the hidden crevasses, the icebergs, the way the white landscape could trick the mind. But newspaper stories about Ronne's plans prompted 1,100 volunteers. Ronne chose 21, some with polar experience, some with much-needed flying, medical or mechanical skills, others with a taste for adventure. Jackie Ronne didn't share their daring. She agreed to accompany the explorers to Beaumont, Tex., where their boat was waiting, but that was it. "I was sad," she recalls. "I expected him to be gone for 15 months, and I knew I would miss him tremendously, but I was comfortable with the arrangement." In Beaumont, Ronne persuaded her to stay with the group until it got to Panama. But as the ship made its way down the Chilean coast toward Cape Horn, Ronne urged his wife to commit to the whole trip. Because English was not his first language, Ronne needed his wife's help writing the articles he'd committed to for the North American Newspaper Alliance, which had provided some funding. Even now, almost 50 years later, she recalls the arguments she made in a hotel room in Valparaiso -- the last place she could change her mind. "No woman had ever gone that far south, and the crew was suspicious," she says. "And my family was very conservative. They would never go after headlines. My aunt was frantic. . . . And I was afraid that if I went with him, people would say he took me along for the publicity. "But he was very, very persistent." When she finally decided to stay with him, Jackie Ronne realized that all she had brought along to wear were cocktail dresses and nylon stockings -- "everything I would have had for two weeks in Texas." "I was in love with him," she says simply. "I would have done anything to support the expedition, even stay behind. I would have gone to the moon. It was the moon." Every night throughout the 15-month expedition, she recorded the day's activities and challenges -- and her own comments. She filled three notebooks -- the first in a school-size copybook, the next two in ship's logs. But until three months ago, when she began preparations for her recent trip, she hadn't looked at the diary in 47 years. "I didn't want to be reminded of the pain," she says. "I wasn't prepared for the bickering and in-fighting," she says sadly. "People don't get along well in isolation." The stresses of the expedition were apparent almost immediately. In isolation, emotions festered, and without warning, small disagreements became serious disputes. In particular, tensions emerged with a young pilot and his new wife who was the second woman in the group. "We never exchanged a harsh word," says Ronne now, "but there was a period where we didn't speak at all." And after dark, there wasn't much to do except play cards, watch movies, study navigation and worry. "I was constantly worried," Ronne says. "The Antarctic is a dangerous place. You can turn your back and find somebody in great difficulty. The door to our hut was open 24 hours a day to report emergency situations. . . . One of our men went down a crevasse and was stuck upside down for 12 hours before help came. Until the rescue team got back, nobody slept. Nobody thought he would ever come out alive. Finn was beginning to worry about what he should do with the body." Beyond the immediate challenges, the Ronnes' underlying concern was the success of the expedition. "I was always worried about it," she says. "But actually the tensions didn't affect it very much. My husband had a firm hand over what was going on." When the year was over, she was proud: proud of the success of the expedition, proud to have been the first American woman to set foot on the continent, proud that she and Finn were the first couple to reach the South Pole and that she was the first non-royal woman to have an Antarctic site -- an ice shelf -- named after her. But she was glad to leave it behind. "When I saw the Statue of Liberty on my return, I felt the same as any immigrant. The sight was a relief and release to me." Jackie Ronne has lived quietly since her husband's death, traveling, spending time with her family and using her Antarctic expertise lecturing and writing encyclopedia articles. The embassy dinners and parties disappeared immediately, of course. "But I don't crave social Washington," she says. "I've been there." Her home in Bethesda has the understated look of a house designed to set off memorabilia. The framed photographs and maps. A toy-size hickory sledge her husband made to pass the Antarctic hours. A radiogram from Byrd asking him to join the admiral's second expedition. And penguins everywhere. Mounted and stuffed, in the living room hall. On pendants and earrings. Potholders. Refrigerator magnets. The shower curtain. "Most people don't even know that penguins are from the southern hemisphere," she says. She knew about Antarctic cruises but never wanted to go on one until late last year when she was asked to plan "an ultimate field trip" for a group of college scientists. The Society of Women Geographers signed on too, and the Washington branch of the Explorers' Club. Ronne worked with the Chicago-based Abercrombie & Kent agency, which regularly tours the area, to plan the trip. Together with daughter Karen, 44, as the stars of a well-heeled group of 92, a different Jackie Ronne set off than the explorer's young wife -- an older woman who swims to stay in shape and delighted in finding penguin rookeries and buying T-shirts for her grandchildren. The journey was not for the faint-hearted. The weather was just as difficult and the ice as treacherous. "The wind was incredibly strong, a gale force," says Ann Hawthorne, a photographer and family friend who was on the trip. The access to the Stonington Island base was just as unpredictable. "We had to get through pack ice to get in," says Ronne. "But the captain and crew were determined to get me there." Since their ship was too large to get through the icy coastlines, land was reached by large, hard-to-maneuver rubber rafts. When the rafts couldn't get any closer, the stalwart walked the rest of the way, wearing several layers of clothing, parkas and high boots. "And the clothes got really heavy when they got wet," says Ronne. Her ultimate goal was the 1946 base camp and the hut she had shared with her husband. Ronne was determined to show her daughter where she'd spent those long months. As the two climbed the 100-yard hillside to the camp, they had to negotiate thigh-high snow, and almost turned back. To propel them forward, Hawthorne told jokes when they fell. "It was important to get Jackie to that base," she says. "It was a walk of discovery back in time." Was Ronne reliving her life? "To a certain extent," she says now, describing with dismay the uninhabitable buildings she discovered. "When a base is left, it's legitimately considered abandoned in the high seas. But I wanted to fix up what was broken, iced over, ripped out. And I wondered what happened to our 5,000-pound galley range and curtained bunks." And she hadn't anticipated the images of "hurdles and vicissitudes" that she says came flooding back. When Ronne left the camp a few hours later, she closed the door firmly, shutting out the wind and snow and -- perhaps -- some of her memories. "I wouldn't have given up that experience for a million dollars," she says. "Nor would I ever have done it again." But she just might take another cruise there. One that heads on east into South Georgia tempts her. "There's something about the Antarctic that draws you back," she says. "You might have had it up to your eyebrows, but after a while, the raw, icy magnificence brings you back." Edith "Jackie" Ronne (b. 1919) was a U.S. explorer of Antarctica. 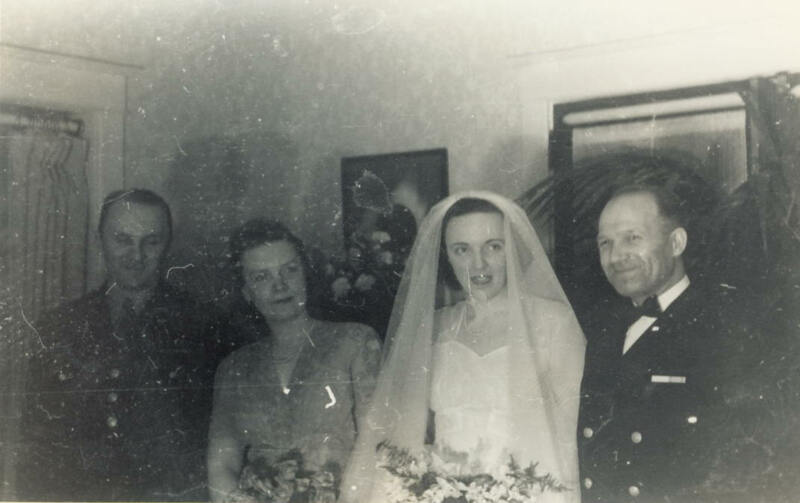 She married Finn Ronne on March 18, 1941, and on the expedition of 1946 - 1948, that her husband commanded, she and Jennie Darlington, the wife of the expedition's chief pilot, became the first women to over-winter in Antarctica. They spent 15 months together with five other member of the expedition in a small station they had set up on Stonington Island in Marguerite Bay. Edith Ronne Land was named after her by her husband, who discovered the coastline and claimed the interior land as well. When it was determined to be mostly ice shelf, the name was changed to Edith Ronne Ice Shelf. At her request, the U.S. Board on Geographic Names removed her first name, so that the Ronne Ice Shelf would more correspond to the continent's other large ice shelf, the Ross Ice Shelf..
Finn was Norwegian-born and educated, and already a veteran of two Antarctic expeditions, including the second Byrd expedition and the U.S. Antarctic Service Expedition. He was the son of Martin Ronne who, as a sail maker on the Fram, had accompanied Amundsen to Antarctica, and served with him for twenty years. Martin also took part in Byrd Antarctic Expedition I [1928-1930]. Finn was a remarkably self-disciplined man, well known for his lifelong excellent physical condition, and who had skied all over the Antarctic continent. Finn and Jackie, a State Department employee at the time, who graduated from George Washington University in 1940, met in Washington, D.C. in 1942. They were married on March 18, 1944. As soon as WWII ended, Finn began planning another expedition. Admiral Richard E. Byrd, a friend of Finn’s at the time, who lived only a block away, urged Finn to join forces with him, but Finn insisted on his own independent, private operation. Although Finn and Byrd had served together on the United States Antarctic Service Expedition, 1939-41, Byrd did his utmost to torpedo Finn’s plans for his independent venture. Byrd even demanded that Finn give him all of his detailed plans, which reluctantly Finn did. These were then presented as Byrd’s own plans for his own expedition; according to Jackie not even the wording of the proposal was changed. It seemed clear to Jackie that Finn’s erstwhile friend, Admiral Byrd, had “double-crossed” him. Despite Byrd’s strong opposition, there were still many offers of help to Finn, including Sir George Hubert Wilkins, General Curtis LeMay, Ed Sweeney, a long-time friend, the Office of Naval Research, and Allen Scaife, of the wealthy Mellon family of Pittsburgh. Although Byrd’s fierce opposition failed to stop Finn’s expedition, it did succeed in limiting necessary funding. Less than $50,000 was raised, and many participants were unpaid volunteers. Thanks to General LeMay, several military personnel were “seconded” to the expedition, including the two principal pilots. The Air Force also donated three planes, equipment, spare parts, and clothing. As Finn worked constantly on planning his expedition, Jackie’s initial role was to edit and type all of his correspondence. At this same time, at the end of 1946, as he was presenting his proposal, Finn also served on the Task Force that created the Thule Air Force Base in Greenland, and he assisted Thor Heyerdahl in planning his trip across the Pacific on a balsam raft. The Ronne Antarctic Research Expedition (RARE) departed for Antarctica from Beaumont, Texas, on January 27, 1947. Among the key personnel were the pilots Harry Darlington, Jimmy Lassiter and Lieutenant Chuck Adams, and the aerial photographer, Bill Latady, who used a trimetrigon camera to capture a horizon-to-horizon scan. There were three planes – a twin engine C-45 Beech, a Noordwyn C-64 Norseman, and a Stinson L-5. When one of the planes was damaged beyond repair while loading, General LeMay found them an exact match. As she has recounted in her diary, which she kept every day of the trip, Jackie originally had no intention of going to Antarctica with the Expedition. Only the extreme persuasive powers of her husband, Finn, ultimately persuaded her to go. Since his native language was Norwegian, he needed her to write English-language articles for the North American Newspaper Alliance. These were written under Finn’s name, and for a long time the press was unaware that both she and her friend, Jenny Darlington, were along. Both women faced strong opposition from their own family members (Harry Darlington, the pilot, at first was adamant that his wife should not go) and from some male crew members, who said they wanted no women onboard. Ultimately most of the men were supportive. One original doubter, Chuck Hassage, became Jackie’s life long friend. The final decision for the women to continue on to Antarctica was made in Valparaiso, Chile, where they purchased some essential clothing items including boots. A total stranger gave Jackie knitting needles that she used frequently; in fact, some of her knitting made with those needles is on display in the Naval Museum. The last port of call was Punta Arenas where the sea proved to be surprisingly calm even as they crossed Drake Lake. Walter Smith was the navigator, and always did an excellent job. Jackie’s first approach to Antarctica was incredible, the “experience of a lifetime.” The ship anchored alongside the Antarctic (Palmer) Peninsula right in front of the British base built there during the war. After some initial awkward interactions, the British soon became good friends, and the British commander, Ken Butler, spent many congenial evenings in the Ronne’s hut. Other prominent British participants were Kevin Walton, Charles Swithenbank, and Bernard Stonehouse. The latter was one of three British men rescued by pilots Lassiter and Adams after their plane, a small Auster, crashed on the Weddell Sea coast. The role of the airplanes was of the utmost important to the Expedition. Unfortunately the weather was usually difficult or unpredictable. During the whole time the flying season took place, there were only eight good flying days. Peterson and Bob Dodson traveled by dog team to the upper plateau to establish a weather station to support the planes. While there, Peterson fell in a crevasse, but Dodson was able to ski back to the base for help. A search party was organized immediately in the dark. The British doctor, Budson, not only volunteered to go, but later was lowered into the crevasse to rescue Peterson who, incredibly, was still alive. He had been lodged upside down in the crevasse for twelve hours. His recovery was complete, but Finn was furious with both men since their disregard for rules of safety had led to this costly misfortune. The men were not roped properly, their sleeping bags were soaked, and Peterson stepped on the radio key and broke it. Both were largely confined to the island base for the remainder of the Expedition. Another potential disaster was narrowly averted when [?] McClary fell off a 150 foot ice cliff, and through thin ice into the water. Fortunately, help was nearby and he was pulled to safety. Later he suffered a broken collarbone in a sledding accident. Jackie spent most of her time in the 12 square foot hut she shared with Finn, although she usually ate her meals with the group. There were no private toilet facilities for women. All had to visit the “little house on the hill” no matter what the weather. All of the men acted always as “perfect gentlemen” in the presence of Jackie and Jenny Darlington. She experienced a great deal of tension as “everything that happened worried me.” She vowed, “I will never, never go to the Antarctic again,” but recently she finished her thirteenth trip there. Over time, tension developed between Finn and Harry Darlington. Harry was third in command behind Finn and Ike Schlossback. Initially a close personal friend, Harry reportedly was undermining Finn behind his back. On several occasions Harry entered Finn’s tent “screaming” about the dangers of the flights he had been assigned. Finally, Finn could tolerate no more such insubordination, and dismissed him. Lassiter and Adams took over Darlington’s assignments. The two pilots never had any accidents or trouble, scouted unknown territory, and earned commendations from the Air Force. Ike Schlossback also wanted to fly. He was a trained pilot who had commanded surface vessels, underwater vessels, and a flight squadron, and was the only person in the Navy at the time who had done all three. But he only had one eye, and Finn never allowed him to take a plane up. Harry was never reinstated despite pleas from certain friends, and later complained to Finn about the several short flights that Jackie made as a passenger. Jenny tried unsuccessfully to smooth things over with Finn and Harry. After the weather station had been established on the other side of the 6,000 foot-high plateau, an advance base at Cape Keeler was created. It was mainly an underground base, covered by snow, and connected by tunnels, but there was a command tent on the surface. There were caves going out from tent where people could stay with sleeping bags. Two planes, the Norseman and the Beechcraft, departed south from Cape Keeler on exploring missions in the rare intervals of good flying weather. On one such flight Finn discovered Berkner Island, in the middle of the later-named Ronne Ice Shelf. Dog teams were never flown into the field, although occasionally a sick dog was flown back to base. The Chief Geologist, Bob Nichols, led a fifteen-dog team that gathered rocks, did glaciology, measured solar radiation and atmospheric refraction, and operated a cosmic ray machine. His party spent 105 days in the field. This broke the previous record of 84 days for a sledging trip set by Finn and Carl Eklund seven years earlier. Finn became irritated when Nichol’s party did not keep regular radio contact. Jackie developed a personal interest in science, and she worked as an assistant to Andy Thompson, a seismologist, who measured the first earthquake recorded in Antarctica, and recorded tides. In February 1948, as warmer weather returned to Antarctica, and the sea ice began to melt, preparations for departure from Stonington Island were made. Gasoline supplies were low, and the flying program was over. The year in Antarctica had come to an end. An icebreaker cleared a path to the open sea. Rough seas hampered the trip northward, and food was running low. It was necessary to make an unscheduled stop in Punta Arenas. Here Jackie enjoyed her first fresh salads and vegetables in some months. But the lure proved irresistible, and she returned many times. She was a passenger on the first tourist cruise ever to the Antarctic. The ship visited Deception Island and an Argentine base. In 1971, Jackie and Finn were flown to the South Pole in Navy planes. A base, including the South Pole Dome, was under construction there, and Jackie and Finn made a radio broadcast to Lowell Thomas directly from the pole. Wooster College, 1936 ­ 38. BA, George Washington University 1940, History and English. 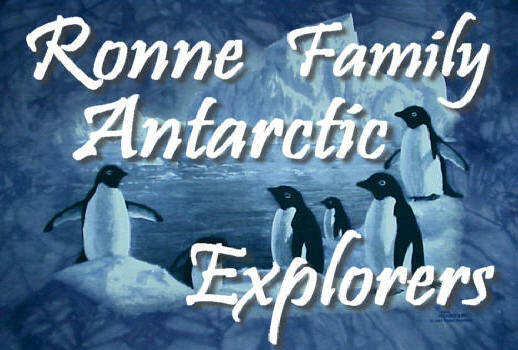 Ronne was the first woman to set foot on the continent of Antarctica and stay, when she wintered-over there in 1947 ­ 48 as a member of her husband Finn Ronne's Antarctic Research Expedition at East Base on Stonington Island. 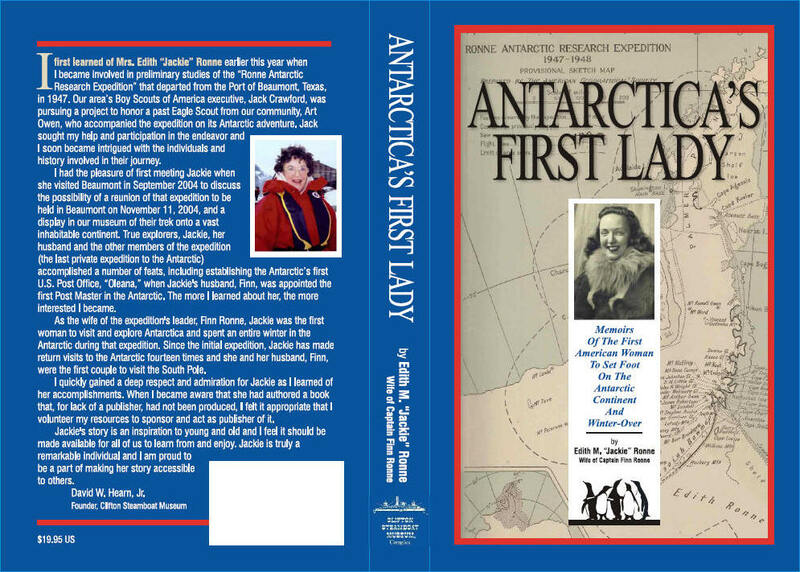 The interview describes her family background, childhood, education, and activities after her Antarctic experience, but the bulk of the interview provides a detailed personal account of the expedition, its planning and preparation and various personalities, including Admiral Richard Byrd, who were involved in one way or another. Her account also refers to other historical events involving Antarctica and polar exploration. Member Explorers Club. Joined SWG 1948. 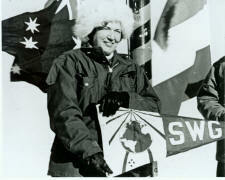 Carried SWG flag to the South Pole in 1971 for celebration of 60th anniversary of Amundsen's reaching the pole. SWG President 1978 ­ 1981. Born Edith Anna Maslin on October 13, 1919, Jackie was riased in a conservative Baltimore family. In the 1930's, Baltimore, Maryland did not believe in co-education in their public schools so she graduated from Eastman High School at 16 without ever having a date. Jackie attended George Washington University, joined Phi Mu Sorority, had a great social life, and in 1940 graduated with a major in history and a minor in English. She worked for the U.S. State Department. 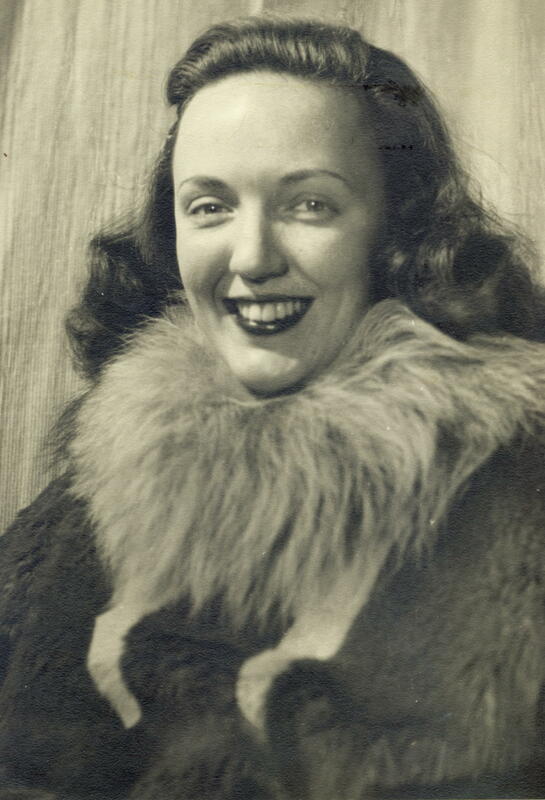 In 1942, she met the polar explorer Captain Finn Ronne on a blind date and enjoyed his maturity (Finn was 20 years her senior), nationality, "charming" foreign accent, and stories of exploration. 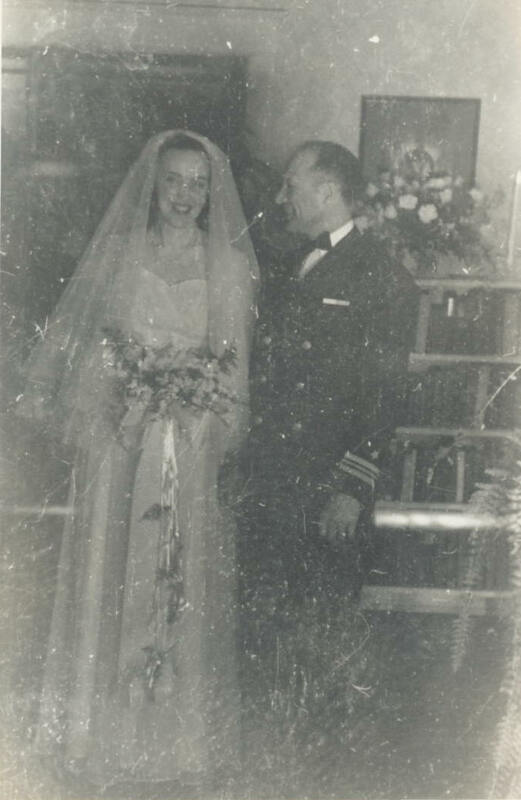 Finn proposed to Jackie in 1943 and they were married on March 18, 1944. The Ronne Antarctic Research Expedition departed from Beaumont, Texas on January 25, 1947 where Finn selected Beaumont Eagle Scout Arthur Owne to join the expedition. Jackie edited all of Finn's correspondence and reports and was to be in charge of the domestic side of the expedition. However, instead of remaining Stateside, she resigned her position with the State Department to accompany her hustband on his fiteen month expedition. As the expedition's historian, Jackie wrote the news releases for the NORTH AMERICAN NEWSPAPER ALLIANCE nd kept a daily history of the expedition's accomplishments. She also made routine daily seismographic and tidal observations. 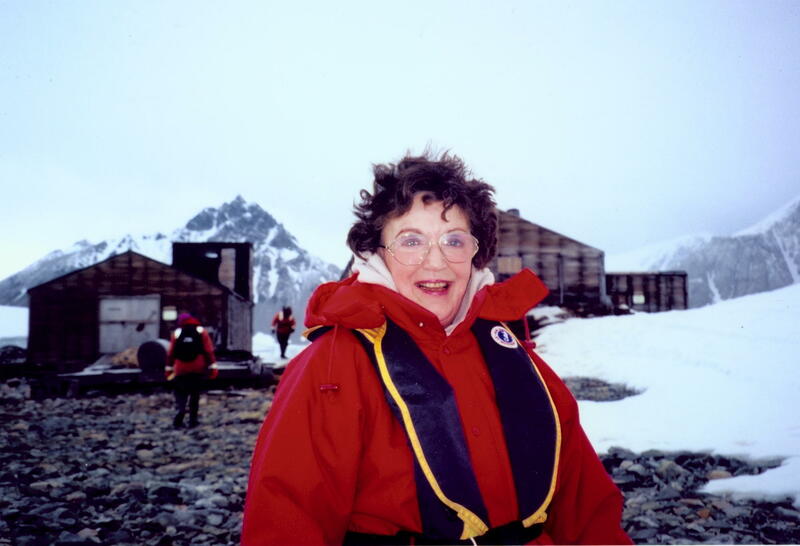 Jackie Ronne became the first American woman to set foot on Antarctica. Before her, only the wife of a Norwegian whaling captain had briefly visited. No woman ahd ever lived in the Antractic before Jackie. The 400,000 square mile are nearly discovered by the Ronne Expedition was named EDITH RONNE LAND, making one of the very few land areas honoring a woman of non-royal birth. After 20 years on the maps, the feature was renamed RONNE ICE SHELF. 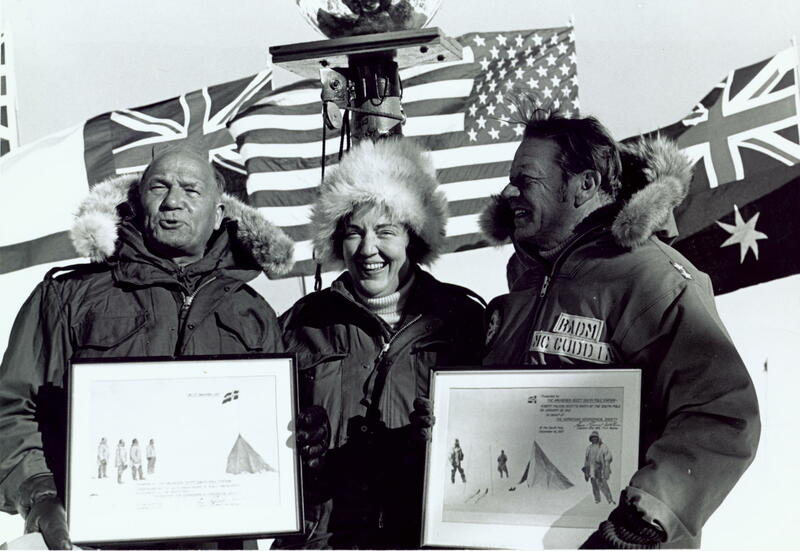 In 1971, she accompanied her husband to the South Pole Station, as the first husband and wife team and seventh woman to do so, in observance of the 60th Anniversary of Amundsen's attainment of the Pole on December 14, 1911 (on which Finn Ronne's father, Martin Ronne, was a member). Jackie returned to Beaumont on Novermber 11, 2004 for the opening of the Ronne Expedition and Aruthur Own Museum Exhibit at the Clifton Steamboat Museum, the debut of the book Antarctica's First Lady, a reunion of surviving crew members from the expedition, and the unveiling of this character card. 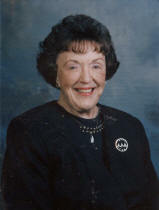 Philanthropist, historian, and Clifton Steamboat Museum curator, David Hearn, Jr., made this event possible by funding the publication of her book and the museum exhibit. 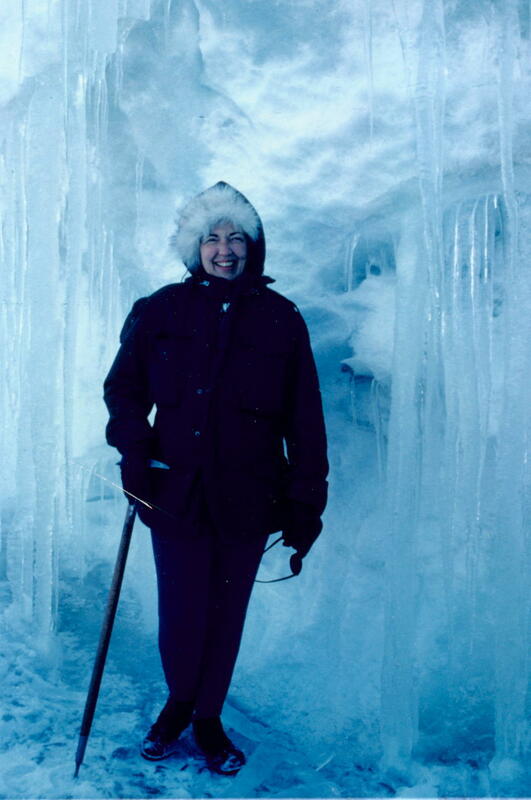 Edith "Jackie" Ronne, a former president of the Society of Woman Geographers, is a grand dame of the white continent--one of two women who were the first to spend the winter of 1946-47 in Antarctica. This year as a guest lecturer aboard the cruise ship Marco Polo as it sailed in January and February 2000, half way around the icy landmass, Jackie, 80 completed her 13th trip. What draws her is the camaraderie of people who understand the splendor of its mountains, ice sheets and glaciers; people who also feel the pull of the most untrammeled wilderness left in the world. People who want to talk about the ice, the penguins, and the explorers and the expedition of her late husband, Norwegian explorer Finn Ronne. Jackie made her first trip on a wooden ship with a 37-foot beam and 2,750 horsepower diesel engines. The goal of the privately-funded Ronne expedition was to map the world's last unknown shoreline between Coats Land and Palmer Land, now known as the Ronne Ice Shelf. Twenty men were selected from several hundred applications. The ship was loaded in Beaumont, Tex., and stopped at Valparaiso, Chile for additional supplies. There, Finn convinced his young wife to go with him and write stories for the North American Newspaper Alliance. Jackie, who had expected to say goodbye in Chile, said ruefully: "I had packed a suit, a dress, high heels and nylon stockings"--not exactly Antarctic gear. Nonetheless, she agreed, and asked Jennie Darlington, wife of the Harry Darlington, second in command, to go as well. Finn Ronne, a Norwegian, was the son of Martin Ronne who had traveled with Roald Amundsun and Richard Byrd to Antarctica. Finn, a ship's architect and marine engineer, emigrated to the United States in 1923 and later joined an expedition led by William Byrd in 1933. He met and married Jackie in Washington, D.C. during the war. From Valparaiso it was a memorable crossing of the Drake Passage, the roughest seas in the world. At times, the ship, called the Port of Beaumont, rolled 52 degrees from side to side. And when they reached the peninsula, they had to ram through pack ice three to seven feet thick. Their camp on the mainland near Stonington Island was the first American base in the Antarctic. and is the only one left. Jackie and Finn had a 12-foot-square "home" for the winter joined by a tunnel to the main bunkhouse where the crew stayed. The Darlingtons also had separate space. Dogs were taken along for transport on short trips. along fine; it was the husbands who didn't." Still, the wives, out of loyalty to their husbands, rarely spoke. Throughout that winter, Jackie sent weather reports back to Washington and wrote newspaper stories. She kept a detailed diary and used it to help Finn write Antarctic Conquest. "That's probably why I never wrote a book myself," she said. 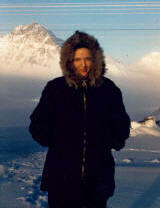 Jennie Darlington wrote My Antarctic Honeymoon, about the winter's events. Only now has Jackie edited her diary and sent a manuscript to an agent. In 1971, Jackie was flown to the South Pole for the 60th anniversary of its discovery by Norwegian Roald Amundsun. "It was the highlight of my life," she said. "After all, I had married it. And I was finally there." In 1995, along with her daughter, Karen Tupek, Jackie went back to the Stonington base for the first time since 1947. "On that first trip back, when we crossed the Antarctic Circle, I felt very ... sentimental, crossing without Finn." Once there, she found everything in the hut was gone. Every bunk, even the 3000-pound galley range. Jackie has lectured for years on the history of Antarctic exploration and on the Marco Polo she riveted her audience with talks and narration of a film about the expedition. This year, she made four trips to Antarctica, one right after the other. The last was the 23 day voyage that began in Ushuaia, Argentina, and ended in Christchurch, New Zealand. Each one, she tells her daughter, will be the last. "But I might have to go again just to make it an even number." Memoirs of the first American woman to set foot on the Antarctic Continent and the first woman to winter over as a working member of a pioneering Antarctic expedition. That was her husband's Ronne Antarctic Research Expedition, 1946-48. She was a witness to the fascinating days of polar exploration.Ronne Ice Shelf was named for her. As she left home her suitcase contained little more than a good suit, a good dress, nylon stockings, and high heeled shoes. But she had the excuse that she didn’t know she was going for a year’s expedition to Antarctica. Little did Jackie Ronne realize this was the beginning of a series of events that led her to make history and to become a unique celebrity, as well as an important woman pioneer. The year was 1947. This book is a personal account by the first American woman to set foot on the earth’s seventh continent, and the first woman ever to be a working member of a pioneering expedition to explore the vast Antarctic wilderness. This historic achievement is recognized in a truly extra-ordinary way, one usually accorded only to women of royal birth: the Ronne Ice Shelf, the world’s second largest, is named for her. This first-hand chronicle includes her upbringing as well as the background of her Norwegian husband’s polar heritage, one she was destined to follow. She shares her personal insights, fears, reactions, and emotions about the unfolding events on an expedition that made important geographical and scientific discoveries, as well as human drama. Her recounting of the expedition features many excerpts from her expedition diary and highlights the day to day workings of this small-scale but ambitious expedition. The struggles of this group of scientists, ship’s crew, and maintenance personnel are punctuated by the challenges of maintaining cordial interpersonal relationships in severe isolation. Men rebelled; other members retaliated; a pilot was fired, but remained in camp; a meteorologist fell into a crevasse, miraculously escaping death; another pilot walked into a rotating propeller and lived; the first mate fell off a high cliff into the icy seas; - all set against the meticulous scientific exploration that took place in and around the most dramatic, dangerous, yet beautiful scenery in the world. It is a classic study of human endurance and a compelling tale. Martin Ronne, her husband’s father, had been a member of Norwegian explorer, Roald Amundsen’s expedition. He made the small tent that Amundsen left at the South Pole signifying his December 14-17, 1911, arrival. Martin remained with Amundsen through twenty years of polar exploration and subsequently became the only member of Admiral Richard Byrd’s first expedition who had ever been to Antarctica before. Upon Martin’s death in 1931, his son, Finn Ronne, immediately followed in his father’s footsteps as a natural extension of his Norwegian heritage. Finn accompanied Admiral Byrd on his second expedition and was soon hooked on the polar regions. He helped organized a U.S. government expedition in 1940, when he sited and built the camp of four buildings that later also became home to the Ronne expedition. The smallest hut, 12’ x 12’, became Jackie’s home for a year. When Jackie’s husband, Captain Finn Ronne, first organized the Ronne Antarctic Research Expedition in 1946, she intended to handle its affairs Stateside. While bidding her husband good-bye during the hectic departure, he asked Jackie to help with the last minute details, in increments while they headed south. Finn ultimately persuade her to accompany his expedition as Historian and Correspondent for the North American Newspaper Alliance. To avoid becoming the “first and only,” another woman went as well, but had no official expedition role. As she gathered last minute supplies in Chile, Jackie resigned from her State Department position, and a new future awaited. Once their ship was securely anchored in a cove off Stonington Island, in Marguerite Bay, they moved ashore scientific equipment, food for two years, dogs, three airplanes, gasoline, 30 tons of coal, and innumerable other materials. The 12-foot square hut she shared with her husband connected to the mess hall bunk house by a short tunnel. During the long dark winternight, she learned first hand of the tedious hard work required to carry on investigations in twelve branches of science under harsh polar conditions. Later, Jackie assisted their geophysicist in some of his work and wrote many articles describing expedition progress for radio transmittal to the N.Y. Times. For recreation, they watched movies, listened to music, read, played games, and skied on the adjacent glacier. But the thrust of this book is her diary, which recorded the daily progress of the expedition, as well as how men act in isolation, revealing their petty jealousies and childish antics to get what they wanted or else revenge. Tensions built up during the long dark winternight and took their toll. Originally, they had no agenda of their own, but once away from civilization, personalities change, developing their own desires, petty jealousies, and childish antics to get what they wanted while jeopardizing relationships and the goals of the expedition. In the end, it was triumph over adversities of two kinds – the harsh elements of the Antarctic and the psychological stress of isolation. In recognition of the family’s long involvement in Antarctic exploration, Jackie and Finn were invited by the Department of Defense on a flight to the South Pole in December 1971, honoring Amundsen’s 60th anniversary of reaching the Pole. They became the first husband and wife team to set foot at the South Pole. This was her husband’s ninth and last journey south over a 38 year span, including four overwinterings. But it was not to be the last one for Jackie, as she continues to be drawn back to the haunting beauty and abundant animal life that characterizes the frozen continent at the end of the earth, making three more trips as a lecturer on cruise ships with destination: ANTARCTICA. I started out for a year's stay on the Antarctic continent with one small suitcase that held a good suit, a good dress, nylon stockings and high heel shoes - clothes about as suitable as Eskimo furs on a South Sea Island. But I had the excuse that I didn't know I was going until the last moment; my husband, the leader of The Ronne Antarctic Research Expedition (1946-48), finally persuaded me that he needed me. This book is my personal account as the first American woman to set foot on the earth’s seventh continent and the first woman ever to have been a working member of an Antarctic Expedition. Although I had lived vicariously through my husband’s previous Antarctic expeditions, I was completely unprepared for the truly magnificent scenery of that southern continent. Under the brilliant sun, the shimmering icebergs and the snow-capped mountain peaks languished against the vivid blue sky and a cobalt sea, punctuated with the antics of penguins. Little did I know what was to come: a meteorologist fell into a crevasse; a pilot walked into a rotating propeller; a small plane from a nearby British base crash landed in unknown territory without a radio; Men rebelled; others retaliated; a pilot was fired, but remained in camp; attempts were made at sabotage; and a pilot’s wife who had been taken along as my companion ended up barely speaking to me. There were many times I wondered how I had ever been talked into coming and counted the months until we would be heading north once more. Against the back-drop of human drama, the expedition made important geographical and scientific discoveries. Upon the return, the U.S. Board on Geographic Names called the largest newly discovered area, Edith Ronne Land. Today it is known simply as the Ronne Ice Shelf. or nearly fifty years, people have asked me why I did not write a book about my Antarctic experiences, particularly those that took place on the Ronne Antarctic Research Expedition. I kept a very complete diary for that year which has never been published. In fact, it took me forty-seven years before I had the desire or courage enough to read it again. I had not wanted to relive the experience so closely again. After many years had passed and I was no longer so emotionally involved, I realized as the wife of the expedition’s leader I was the only one who could tell this story. Not only is this an historical account of the human triumphs and deficiencies of men and women in isolation on this particular expedition, but an example of the break-down of human reaction of people in isolation on expeditions past and present throughout history. Over the years, I have talked, written and lectured widely about my experiences on the expedition, but I have never once revealed how I personally felt about them. It was too hard, too close to me; in many respects too painful. When I finally mustered the courage to face the day to day occurrences written in my diary and how I felt about them at the time, I found my observations and reactions to the things I lived through far more fascinating now than the day I recorded them. This is my accurate account of my observations, what I lived through, and how I felt about it. I include many rarely seen and previously unpublished photographs. Perhaps more importantly, however, for the first time, through a mixture of diary extracts and narrative, I share my personal insights, fears, reactions and emotions about the unfolding events of the last private pioneering expedition to explore the vast Antarctic wilderness. For me, the trip was an extremely difficult experience. As the wife of the leader who had put his very being into the planning and execution of the expedition, my only and complete interest was the success of the venture. His worries were my worries. He was not new to the inevitable expedition controversies. I was. I was under enormous tension the entire time. It took its toll. I lost weight and returned to civilization at the lowest weight of my adult life. When I viewed the Statue of Liberty in New York Harbor upon our return, I knew the gratitude and relief of the most downtrodden refugee ever to have immigrated to the United States. I had not wanted to go in the first place. Had I known what it would be like, I would not have gone, or certainly would have made different decisions before I did go. Upon return, I said immediately, I would never go again, that I knew the grass was not greener on the other side of the fence. On the other hand, I realize that participating in the expedition made my life. It opened up vistas and opportunities that I never would have had otherwise. It’s been my career too. I have written and lectured about it extensively and I have returned to the Antarctic continent several times. Old time explorers were all captivated by the beauty, the isolation, and nature in the raw. Invariably, they all wanted to return in time. So it had been with Finn and so it was with me. The first time I returned was in 1959 and in 1971, Finn and I were the first husband and wife team to set foot at the South Pole. Also I returned to lecture on cruise ships in early 1995 and again in 1996. And so in retrospect, since I have finally recorded the story of my historic year’s stay there, I have no regrets and am relieved at having completed the saga.